My daughter wants to go full out on every holiday. She wants the whole shebang. She wants to give and receive gifts. She wants a new outfit. She wants to do every craft under the sun. She wants to make a huge meal on the holiday. She wants to deck the house out in decor for that holiday. And of course she wants a party. Every day deserves a party to her. Now I can't say that I do not agree. I love any excuse to celebrate a holiday or life in general. Life is too short to NOT celebrate every holiday. Even holidays that no one even knows about, I like to celebrate (Teddy Bear Picnic Day, anyone?). Life is much more fun if you party your way through it. Does this completely stress you out? I hope not, because it is meant to be fun. I get it though. Sometimes the expectations can be a bit overwhelming. That is how I feel this year especially. I have been crazy the last few months of my life. I wrote all about how I am dealing with it earlier this week. Sense my life is kind of nuts right now I thought I would put together my favorites and then let my daughter help me choose which ones she wants to do. She probably will want to do them all, but we will just see what we can get to. As long as I try then I do not carry any guilt around with me. I am only one person with a certain amount of hours in each day. 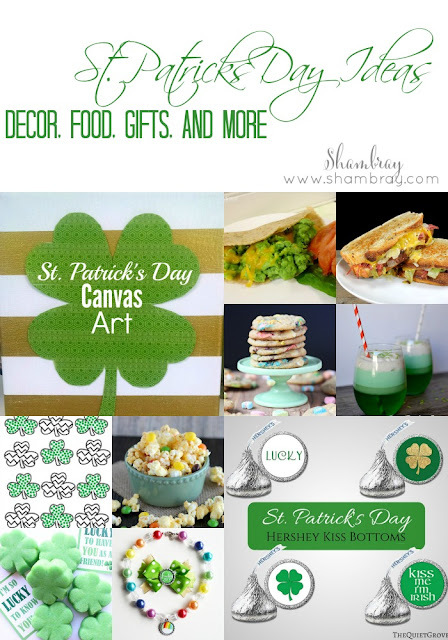 I wanted to share my list of favorites with you and hopefully you can find something that will bring the spirit of St. Patrick's Day into your life without stressing you out. Check out our amazing list we put together by clicking next. Lovely photographs from St. Patrick's Day!! Sounds like everyone had a rocking time in the fest. We attended a grand festival on St. Patrick's Day at one of best venues in Chicago. Around 100 attendees were there and quite sure that everyone enjoyed a lot.